Accidents happen. But when they affect your teeth time is of the essence. If you have knocked a tooth out or you have loosened a tooth it’s important to seek dental help quickly. 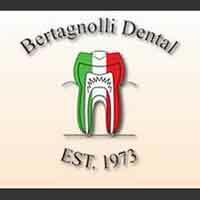 Bertagnolli Dental is an emergency dentist in Westminster with the experience and caring staff you need. It’s important to get to the dentist within thirty minutes so the tooth can be saved. No matter what type of trauma your mouth has suffered, we are the emergency dentist you can trust to provide quality, caring service. We take pride in offering personalized attention and a wide range of services using state of the art technology and techniques. In addition to emergency dentistry we also provide a comprehensive list of restorative, general and cosmetic dental care services to meet the needs of your entire family. When you need an emergency dentist in Westminster who provides quality care for the entire family, call Bertagnolli Dental today.